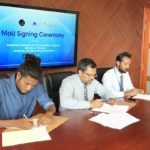 A project to develop an airport on Hoarafushi island was handed Monday to the state-owned Maldives Transport and Contracting Company. 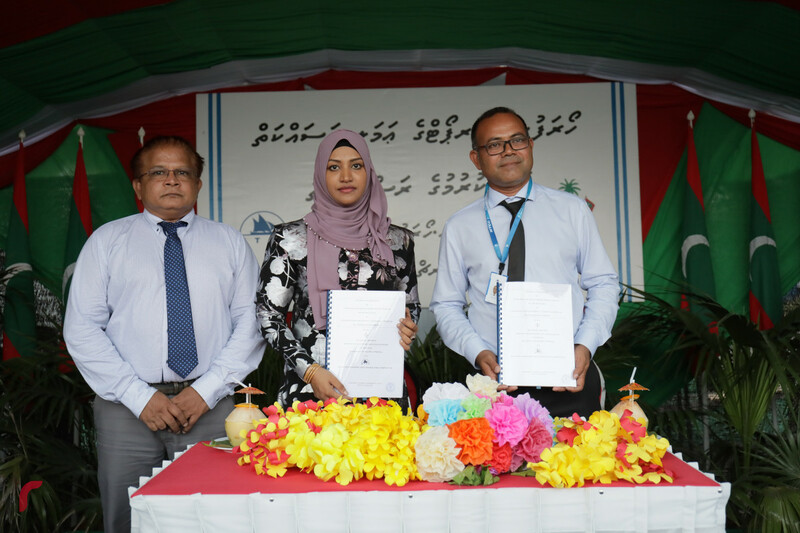 A contract was signed between Transport and Civil Aviation Minister Aishath Nahula and MTCC managing director Hassan Shah at a ceremony on the island in the northernmost Haa Alif atoll. 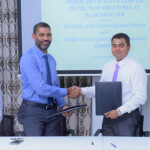 An Environment Impact Assessment for the project has been completed and “equipment will be brought to the island and mobilised within the next three to four days,” Shah assured at the ceremony. An excavator will start digging to prepare for the arrival of MTCC’s dredger Mahaa Jarraaf, he added. Transport Minister Nahula, a Hoarafushi native, noted that building the airport was a campaign pledge of President Ibrahim Mohamed Solih and appealed for voters to hand a majority to the ruling coalition in the upcoming parliamentary elections. Both Nahula and MTCC boss Shah are council members of the Jumhooree Party. Nahula is the youngest wife of JP leader Gasim Ibrahim. “I used to hear since I was small, when would an airport be built on Hoarafushi? After the airport got dragged to Ihavandhoo and Huvandhoo and elsewhere, by God’s will, we have finally tied a rope and dragged it to Hoarafushi,” she said. The previous administration had planned to develop an airport on Maafinolhu, an uninhabited island that lies inside the same lagoon as Hoarafushi. But Mahaa Jarraaf was unable to reclaim land for the project because it had to be anchored some distance away from the island and the suction pipe could not be connected because of strong currents. The plans were changed in favour of developing the airport on Hoarafushi after the new administration took office in November. 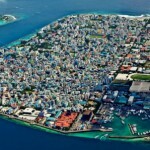 Hoarafushi has a registered population of more than 3,000 people. An airport on the island could be reached by speedboat in about three minutes from the nearby Ihavandhoo island. It would also provide access to Thuraakunu and Uligamu, two of the northernmost islands in the Maldives archipelago. Earlier this month, MTCC completed an airport on Fonadhoo island in the northern Shaviyani atoll. “A runway with length of 1200m by 30m width; taxiway with length of 90 and width of 15m; and an apron with length 150m and width 50m were constructed,” according to MTCC.